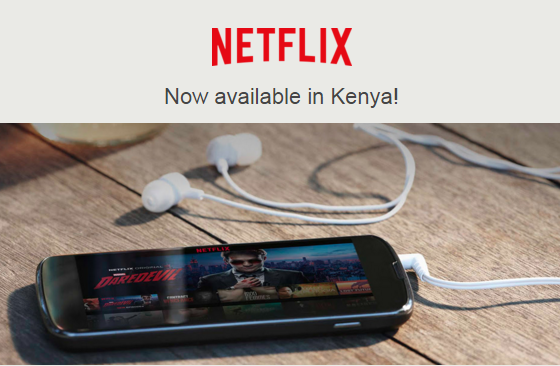 Two weeks ago during the Consumer Electronics Show in Las Vegas, Netflix earlier announced that it was beginning a roll out in 130 new markets which included Kenya. The service Netflix launched in Kenya allows a user to stream unlimited televisions shows and movies for a one-off fee between $8-11. A subscriber can stream content on their personal computers, Xbox 360, Blu-ray disc players, set-top boxes and even Android and iOS. The launch in Kenya was met with excitement with many on social media and many Kenyans have since signed up to the service and thus enjoying the free one month subscription. The launch met interesting opposition from the Kenya Film Classification Board, which stated that Netflix contravened the boards regulations. The opposition by KFCB led to heated discussion with many question the Board’s ability to regulate the streaming service. Newly appointed ICT CS Joe Mucheru stated that Kenya lacked the policies and capacity to regulate such over-the-top service. The Communications Authority of Kenya Director General Francis Wangusi also stated that the model of distribution used by Netflix means the service is not subject to Kenyan laws. The KFCB released a statement today affirming it has the capacity to regulate Netflix as per The Films and Stage Acts Cap 22 that gives the authority power to regulate creation, broadcast, distribution, possession and exhibition of audiovisual content in the country. The board cites its mandate of ensuring content distributed in Kenya meets a threshold that respects Kenya’s cultural and national values to which it states some of the content on Netflix fails to meet their classification criteria and ratings. In its statement, the board absolves itself stating that content showing in Kenya should be regulated by the body irrespective of the mode of transmission. The board further stated that some of the content on Netflix stating it is likely to corrupt the values of children as well as threaten national security. The board has stated it is looking towards coming up with policies and allayed fears of unconstitutional censorship of content. Nkt! Just trying to be relevant.